NEWPORT BEACH, Calif. – April 17, 2017 – The Irvine Company Resort Properties today announced the appointment of Tom Donovan as managing director of The Resort at Pelican Hill® in Newport Coast, Calif. With more than 25 years of luxury hospitality leadership experience, Donovan most recently served as managing director of the Grand Wailea on the Hawaiian island of Maui. In his many years in luxury hospitality, Donovan has been passionate about employee engagement, creating memorable moments, personalizing guest experiences and building lifetime relationships. 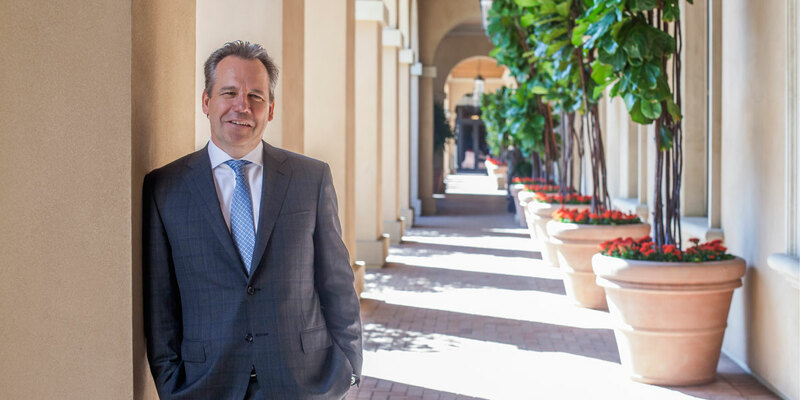 His leadership style and approach will continue to position Newport Beach’s only Forbes Travel Guide Five Star Resort and Spa as one of the world’s finest resorts, serving discerning guests from around the globe. Joining Pelican Hill after a decade on Maui, Donovan has served as managing director of the Grand Wailea and before that, vice president and general manager of the The Ritz-Carlton, Kapalua. Previously, he was general manager of The Ritz-Carlton Resort, Bachelor Gulch in Edwards, Colo. and The Ritz-Carlton Hotel in Phoenix, Ariz. Donovan graduated from Northeastern University with a Bachelor of Science in liberal arts history and a minor in economics. The Irvine Company Resort Properties® owns and manages the finest resort and leisure destinations in Newport Coast and the City of Irvine. In addition to Pelican Hill, the portfolio known as the Coastal Collection includes the Island Hotel Newport Beach, the city’s landmark property; Hotel Irvine, a lifestyle hotel; Oak Creek Golf Club in Irvine, featuring a challenging, Tom Fazio-designed public golf course; and California Recreation Company®, which operates the finest marinas in Newport Harbor and Northern California.